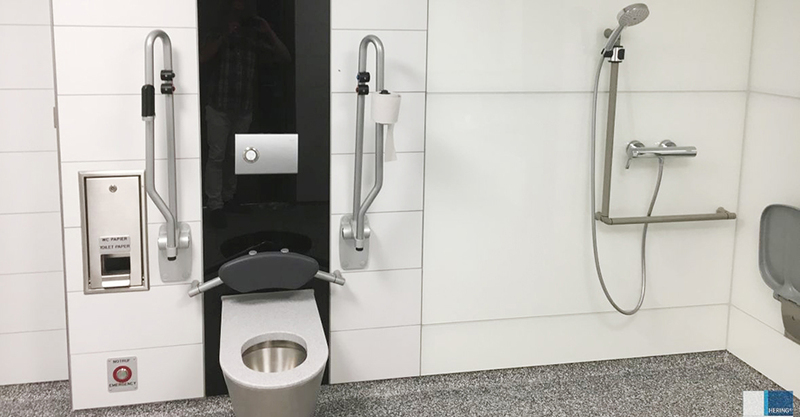 Toilet for everyone: solutions for people with severe disabilities. 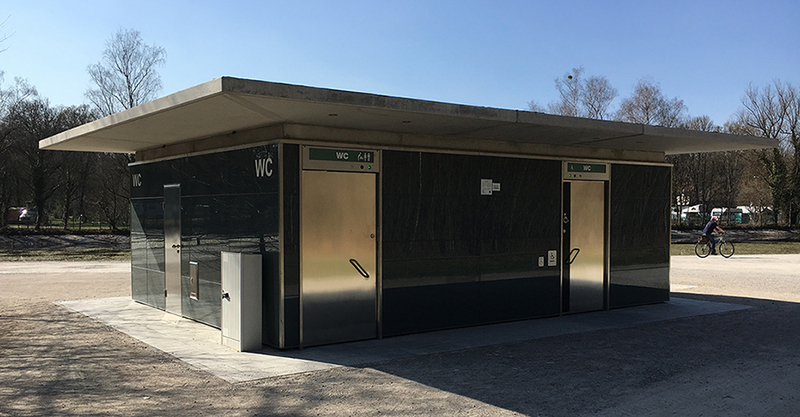 Providing severely disabled people with sanitary facilities in public areas so that they can also participate in public life is what the Leben pur Foundation is committed to with its "Toilet for Everyone" concept. Hering Sanikonzept GmbH is committed to the concept and has already implemented several such systems. Requirements for a "Toilet for Everyone”. 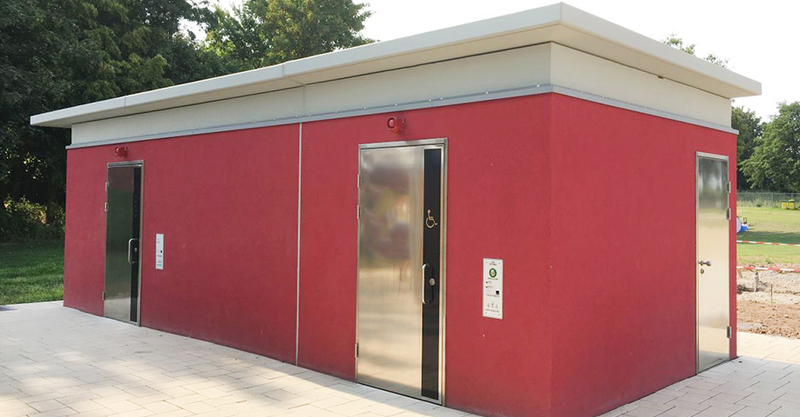 Each sanitary installation must have a room size of at least 12 square metres in order to ensure sufficient space for the users. 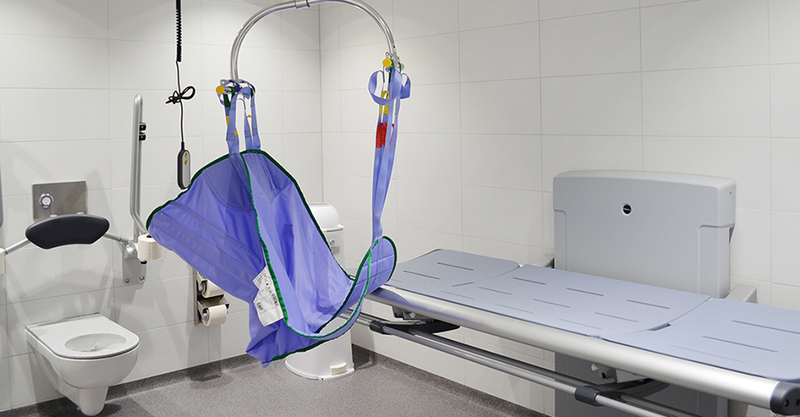 In addition to the normal equipment features of a barrier-free accessible sanitary facility in accordance with DIN 18040, it must also be equipped with a height-adjustable nursing bench (190 x 100 cm) with fold-down side rails, a ceiling or stand lift and an airtight waste bin. 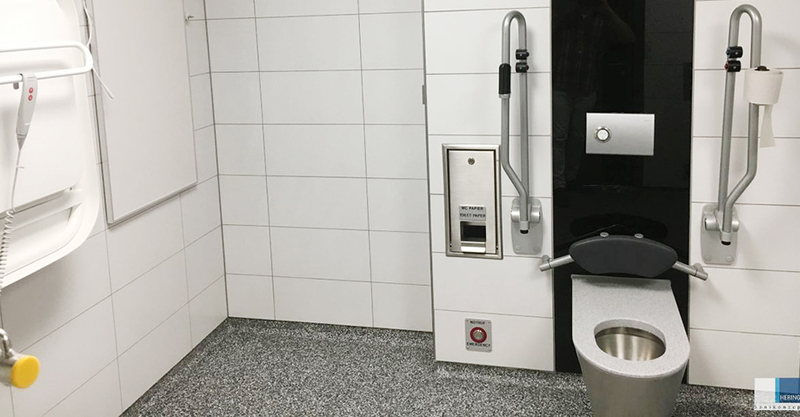 A washlet and a privacy screen are optional. Picture gallery "Toilet for Everyone"